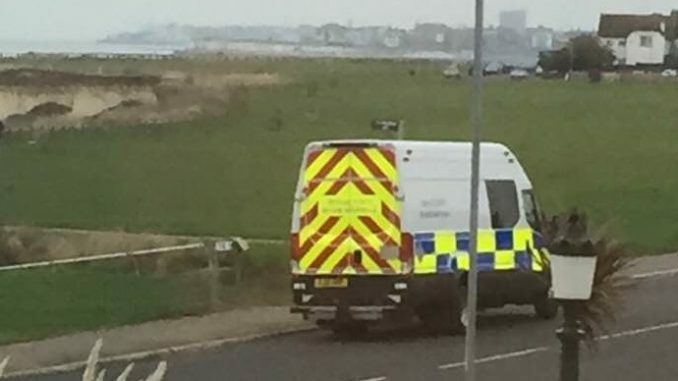 A bomb disposal team was called to Birchington yesterday (January 5) after a report of suspicious objects at Grenham Bay. At around 4pm the objects were reported to have been seen in sand at the bay. High tides have since covered the objects – which were reported to have been approximately 300 metres from the shoreline – and they have not been located again. Kent Police contacted the Ministry of Defence for an Explosive Ordnance Disposal team to inspect the scene. The MoD has been contacted for further details.